The only thing better than Chendol is Chendol soft serve. Amirite? 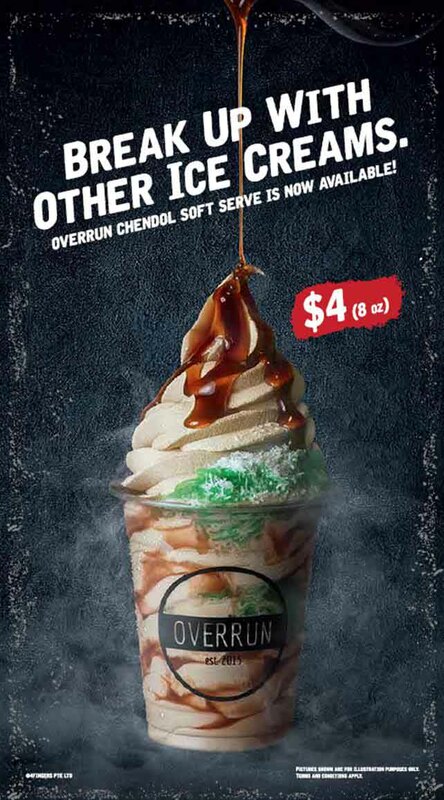 Westies this one is for you, 4Fingers Crispy Chicken at Jem is now serving the famous Overrun.SG Chendol Soft Serve. No more trekking all the way to Baghdad Street for this frosty delight. 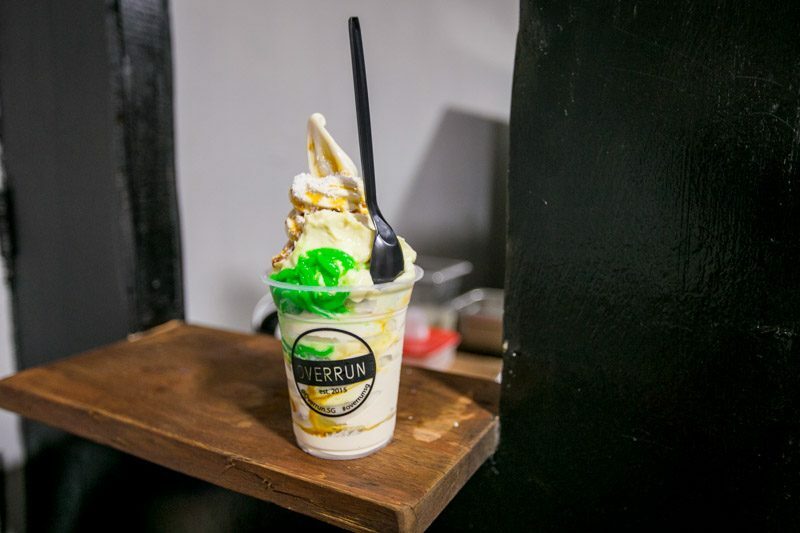 For the uninitiated, Overrun.SG is an ice cream parlour serving up locally inspired soft serve that hearkens the days of Mr Softee at 7-Eleven. The Chendol Soft Serve features luscious swirls of soft serve ice cream, topped with syrupy gula melaka, pandan jelly bits and coconut flakes. A perfect way to cool off from the sweltering heat if you ask me. This delectable treat is going for S$4 per cup and would be a sweet finish after feasting on 4Fingers’ lip-smacking chicken wings. I always love supporting local businesses and it definitely makes it much easier when it’s rich and creamy soft serve. Who says there’s nothing in the West?